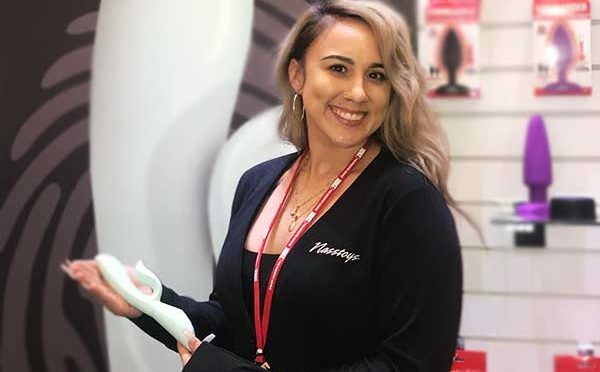 FOR IMMEDIATE RELEASE – February 13, 2019 – North Bergen, NJ – Pleasure product giant Nasstoys, (www.nasstoys.com) is pleased to announce they have hired Melody Cazarin as their sales representative stationed on the West Coast. “We are thrilled to welcome Melody into the Nasstoys family. We did the ANME, and ANE shows together, and I was so impressed with Melody’s organization, sales knowledge, and warm customer relations that I was really blown away by how wonderful she is at her job. We are fortunate to add Melody to the team and have her servicing all of our supportive Nasstoys customers and growing our relationships on the West Coast” said Elliot Schwartz, Nasstoys President. Melody joins Nasstoys with two years of prior industry experience and brings her fresh young energy to the Nasstoys team. Melody’s job roles will include sales, training, retail and distributor support along with outreach to prospective new retailers on the West Coast. “I am truly honored to be part of the Nasstoys family and to be working side by side with a legend like Elliot Schwartz. The entire Nasstoys team has welcomed me with open arms, and I am determined to make them proud!” said Melody Cazarin.